Christmas Jumper Day with Mavam Group. I would just like to say a huge THANK-YOU to those of you who generously donated money to the Stone Foundation collection buckets on Friday for our Christmas Jumper Day. We managed to Raise £75 which is Fantastic! Well done and Thank you Paul Green. 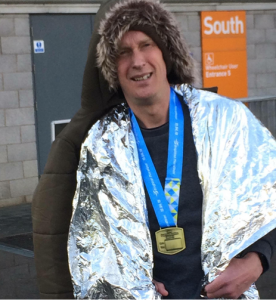 Well done to Paul Green who ran the Brighton Marathon on the 15th April in support of The Stone Foundation! Paul quoted after the race.. "Exhausted! But such a great charity got me over the line". Paul Greene is running a marathon for us. 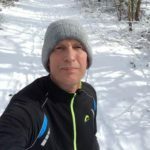 Paul Greene is running the Brighton Marathon to help raise money for The Stone Foundation. Please help us by Sponsoring him mydonate.bt.com/fundraisers/paulgreen17#. 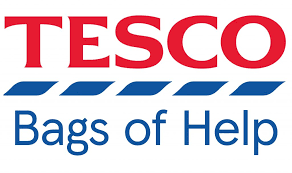 collection box in both the Stowmarket Tesco and the Copdock Tesco stores recently. course for enabling this to happen. Despite threats of rain and a chill wind, a good number of people attended an event hosted by the Holmans in their lovely garden in Witnesham on Saturday. The garden ‘fete’ had a cake stall with scrumptious Victoria sponges alongside delicious fruit cakes and scones made by friends and locals; a bookstall with enough books to open a shop; bric-a-brac and homemade jewellery stalls and bowls. The entry fee covered the cost of a glass of prosecco and a homemade scone with all the works. Over £1000 was made in total, with half going to the Wolverstone Macmillan Support Centre and half to the Stone Foundation. The money raised for the Stone Foundation will go towards the Pre-Tenancy Training initiative which we hope to launch this summer. Huge thanks to the Felixstowe Community Choir, who presented the Stone Foundation with a cheque for £1000 at the Orwell Hotel. The choir raises money from raffles and members’ subscriptions which it uses to cover running costs etc, any surplus being donated to charities. Over the 4 years since they started, they have donated £21000 to local charities. The Stone Foundation was one of three other local charities to receive £1000 on this occasion. The Stone Foundation has been trying very hard to raise sufficient funds to launch its new initiative - Pre-Tenancy Training – so it was a wonderful surprise to receive this money quite out of the blue. The £1000 will go some way to meeting our initial target. The pre-tenancy training – the first of its kind in Suffolk, is designed to equip more vulnerable, first-time tenants with all the necessary skills to manage their home and their finances with confidence. The training will be interactive and practical, covering everything from reading a meter to money management; to efficient shopping and nutritional cooking; to respecting neighbours and the immediate environment. Its aim is to reduce homelessness and enable people to access and sustain a home of their own now and in the future. All donations towards this super initiative very welcome! Join up to the Giving Machine FOR FREE and every time you shop online with certain stores e.g. amazon, John Lewis, eBay etc., they donate 1% to your chosen charity. Please would you all sign-up and choose the Stone Foundation (you can choose up to 3 others too if you wish) then whenever you buy goods from their connected stores, money will be received by the stone Foundation? Someone has nominated the Stone Foundation for the Hot chocolate Fund http://www.galaxyhotchocolate.com/…/pr…/the-stone-foundation They are looking to help small, local community projects and groups through Their GALAXY Hot Chocolate Fund. From November 7th, 2016 until February 26th, 2017, they are seeking to award a total of seventy, £300 donations to help community groups and people across UK and Ireland. Five donations will be awarded each week, four by their panel of judges and one through the People’s Choice award to the organisation with the most weekly votes. The Stone Foundation receives cheque for £275 from Waitrose raised through their ‘Community Matters (Green token) scheme. Elaine Thomas received the cheque yesterday and would like to thank Waitrose and their customers for supporting the charity so generously. The money will help fund the setting up our brand new initiative which will enable inexperienced, vulnerable tenants and prospective tenants to understand and accept the responsibilities of having and sustaining a home of their own. It was a real privilege to have James Cartlidge, MP for South Suffolk visit staff and trustees of the Stone Foundation at their Head office in Sproughton last Friday. “James accepted an invitation to join us for lunch when I wrote to him a few months ago to promote the launch of our fantastic new charity” said Elaine Thomas, CEO. “He was very interested to learn more about what we are hoping to achieve in this area”. Trustees of the Board, along with some of the staff from Stepping Stones, the founding organisation of the Charity, talked at length with James about the lack of housing options for people moving on from supported housing and people who are vulnerable and find it difficult to access and maintain accommodation without help. James is Chairman of the All Party Parliamentary Group on Housing and Planning and one of his passions is looking for solutions to the housing crisis. He was therefore particularly interested in hearing about our plans to source properties in the private sector. He learned that there are quite a few properties in Suffolk which are empty for a variety of reasons, which local councils are working pro-actively to address. One of their solutions is to offer ways in which those properties could be brought back into use by people who are waiting for social housing for example, utilising the services offered by charities such as the Stone Foundation. One of James’ other main interests is that of getting people back into employment and he had recently visited another Suffolk based organisation called In2BK2 which does just that. This has given us food for thought in terms of contacting them to see if they might wish to work with us so that we can offer a more holistic service. To counteract the sometimes quite heavy discussion around housing and homelessness, Stepping Stones IT guys set up their amazing Mind Racing game for James to try. The game involves attaching a band to the head which is in turn remotely attached to one of three racing cars. The object of the game is to use the power of concentration to make the car move. The winner is the car that completes the most laps in 2 minutes. James competed against Sue Jackman and Emily Keeble and although it would be unfair to say who came last, Sue must be congratulated on her win of 10 laps. It was a great way to end what had been a very interesting and stimulating lunch. Finally, after months of research, reams of paperwork and oodles of patience, the Stone Foundation has been officially registered as a Charitable Incorporated Organisation – a new form of Charity. The charity’s aim is to provide accommodation with tenancy support or rather tenancy coaching for people who are vulnerable and in financial hardship. The idea stems from the need to find suitable accommodation for people who are ready to move on from supported housing. Historically, supported housing tenants have been given priority through Choice Based Lettings in the provision of Council or Housing Association accommodation, but increasingly, this option is becoming less viable due to scarcer resources and people are therefore ‘missing the boat’. “People reach a point in their recovery during their stay in supported housing when they feel ready to move into a more independent setting; if they are not able to move at that time, their recovery may be impeded. It is therefore important that the right accommodation can be found at the right time”. Ultimately, the Charity would also wish to provide a similar service to anyone who struggles to access and maintain accommodation because they need some level of support, but this will depend on the number of properties that are offered. With this in mind, the Charity will aim to work with property owners, landlords and local authorities with a view to acquiring accommodation in the private sector on a full tenancy management basis. These properties will be let to vulnerable people who will be supported in a way that encourages them to stick to their obligations as a tenant – pay their rent, keep the property ‘in a tenant like manner’ etc. Rent deposit guarantees will be provided so that landlords will not lose out on either rental income or have to make good any damage to the property. Part of our remit will therefore be to work with Local Authorities to try to get empty properties back into use (of which there are many throughout the county), by utilising any grant funding that we manage to obtain in addition to pots of money for that purpose that Local Authorities may have. The charity currently has 8 willing men and women who have agreed to be trustees, but we need more (up to 12 in total). We really need people who are landlords/have experience of private sector rentals, people with a good knowledge of benefits and people who have experience of accessing funding.